Lego Serious Play (LSP) is a technique that uses Lego blocks in directed exercises to build structures that metaphorically represent business and brand architecture models. Based on extensive research in organizational development, psychology, and learning techniques—LSP uses the context of “play” to enable executives, managers, and employees to communicate more effectively, to stimulate their imaginations, and to approach their work with increased confidence. We like the LSP methodology because it can yield fresh thinking, deeper communication, and problem solving for companies, teams, and individuals. 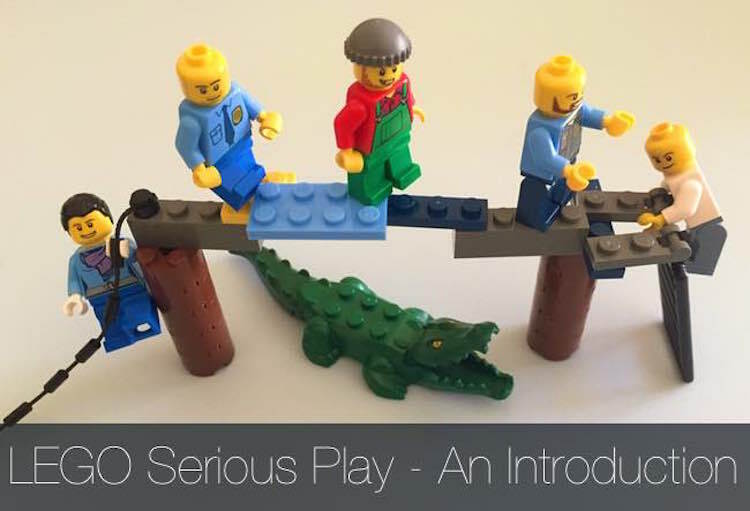 LEGO Serious Play for Education in 3 minutes. 20-minute presentation about the core concepts of LEGO® SERIOUS PLAY® presented by Marko Rillo from SeriousPlayPro.com – the global community of LEGO® SERIOUS PLAY® facilitators. 3) metaphors help conveying messages and remember the most important. A short introduction to research where we ask people to make things as part of the process; with particular focus on the Lego identity study.